Your onion sets should be planted in early spring, with the tips just showing, roughly 5-10cm apart for medium to large onions respectively. 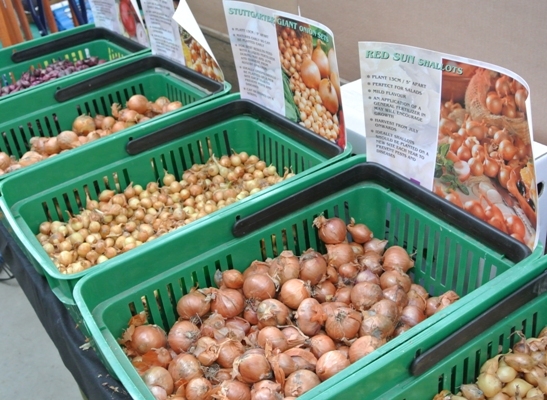 Shallots should be planted at the same time of year but about 20cm apart as they produce bulbs on the surface in early summer. If you have access to a greenhouse or cold frame you could give your onions and shallots a head start by setting them away in plug trays so the roots have a chance to develop before putting them into the cold ground. Watch out for Birds pulling at the necks of your newly planted sets and bulbs.